cannot wait to start working on it! Looks like the “Sinbad” rumours from last week are true! 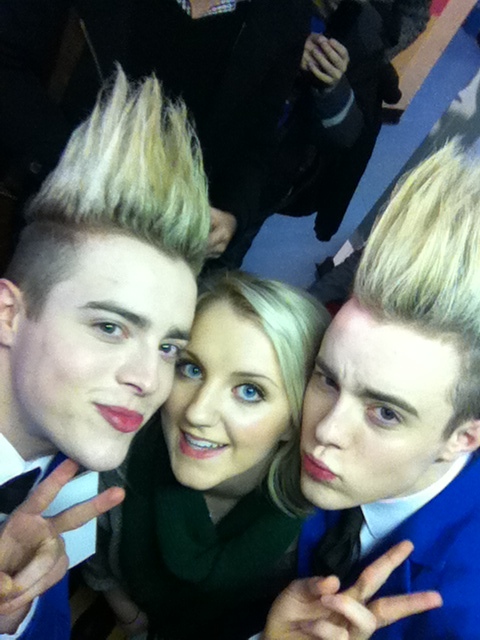 During her taping, Evanna ran into musical twins, Jedward, and snapped a few photos with them. Evanna has also been active on Twitter lately in the lead up to the holidays.